Price listed is for each headband. 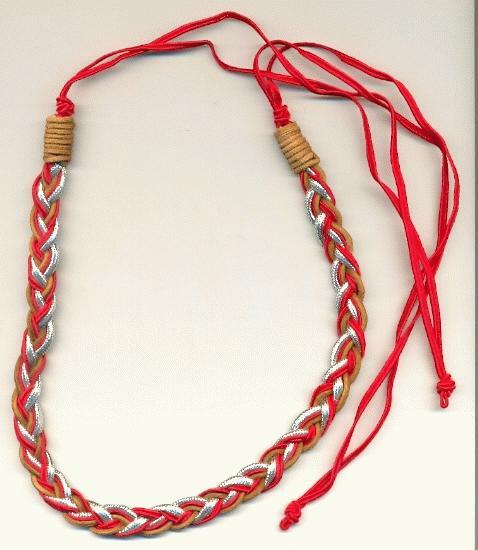 These red, silver and tan headbands are approximately 38 1/2'' long swede, silk thread and metallic silver cord headbands. The braided and wrapped portion measures about 16'' long. 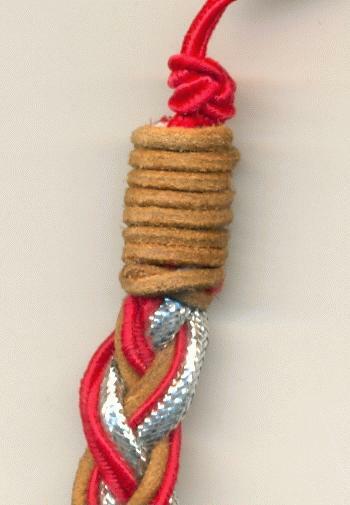 The braid is about 14mm wide and the wrapped portion is about 10mm thick.